This article is the latest installment in my series, Blogging as Activism, where I teach you how to create, design, and promote your very own vegan blog. Starting a vegan blog is a great way to combine your love of animals and passion for vegan activism. After living a vegan life, talking about veganism and sharing vegan information is the one of the most important things you can do as an advocate. No really, it’s true. Think about it: People have been told their entire lives that animals are food, fabric, or anything else we want them to be- animal use is universally accepted by the majority. This is so ingrained that people use animal products without thinking too much about it at all. To most, a pig is pork and a cow is beef and so on. Since its inception, animal agribusiness has misdirected our attention so that we’ll forget that animals are individuals with interests of their own. Here’s the scary part- it worked. Most people, should you ask them, don’t want to hurt animals. Yet they don’t realize that a non-vegan lifestyle does exactly that. It’s important that people know the full story about how we use animals and it’s important that we tell them. Remember, most people do not want to hurt animals, so when they find out that they are, they generally stop. Exposing people to veganism provides them the opportunity to make choices that are more aligned with their own beliefs. Everyone deserves truth and opportunity, and animals need us to provide those things on their behalf. Let’s say that I’ve convinced you that starting your own vegan blog is important, which I hope I have. You’ve read How to Start a Vegan Blog and you registered a domain name, installed WordPress, and picked out a cool theme for your site. Excellent stuff. Maybe you’ve even written a blog post or two. Now what? Will people start to flock to your blog to read what you’ve written? Maybe, but probably not. First you’ll need to do a bit of self-promotion. Enter social media. I always recommend that people sign up for their social media accounts when they pick their domain name. I do this so that your name is the same across all platforms. This will help you in a few ways: First, there will be less confusion to the reader about whether each account is run by the same people. Secondly, it will be easier for people to search and find you. After all, you want people to find you. You’ll have to decide which social media accounts to sign up for, and there are plenty to choose from. Generally speaking, I recommend signing up for Twitter, Facebook, Pinterest, Instagram, YouTube, and Google+ the same time you sign up for your domain name. Even if you don’t plan to use all of these platforms right now, it holds the name and prevents others from using it in case you decide you want to use it in the future. I also recommend using the same profile picture across the board. It just helps with consistency and being easily recognizable to your readers. According to Pew Research (who has been tracking this data since 2005), nearly two-thirds of American adults (65%) use social networking sites. This is up from just 7% in 2005. That’s significant and presents a big opportunity to vegan advocates trying to spread their message. So, which social media platform should you use? That depends on the type of content that you are trying to share. Do you want to upload photos and news stories of the day? Facebook is great for that. Do you want to group a bunch of articles about veganism in one place? Pinterest will do just that. Perhaps you want to share a video or do a vlog of your own? YouTube is your answer. My personal favorite social media platform, and where I spend most of my time, is Twitter. I love the ability to connect with people in real-time. To help you choose which platform is right for you, I decided to talk to five top vegan influencers who know a thing or two about building a large audience on social media. They’ll show you which platform they use and what works best for their audience. I asked them all the same question, and their responses couldn’t be more different. Depending on who you are trying to reach, there’s a social media platform that will help you get there. Which social media platform do you think is the best tool for vegan advocacy and why? 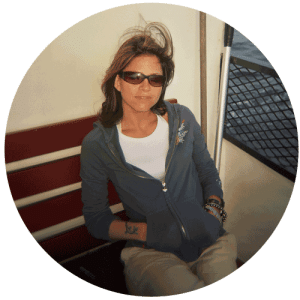 Dianne Wenz is the owner and editor-in-chief of Chic Vegan. She is also a Holistic Health Counselor, Vegan Lifestyle Coach and Plant-Based Nutrition Specialist. Dianne coaches people from across the country to help them improve their health and well-being, and she helps people make the dietary and lifestyle changes needed to go vegan. Dianne lives in New Jersey, where she runs the busy MeetUp group Montclair Vegans. Through the group she hosts monthly potlucks, runs charity bake sales and organizes guest speaker events. An avid cook and baker, Dianne also teaches cooking classes to local clients. She also runs her own website and blogs at Dianne’s Vegan Kitchen.com. You can connect with her on her favorite social media platform, Facebook. I think Facebook is probably the best social media platform for vegan advocacy, and there are a few reasons why. First, Facebook allows for interaction in a way that other sites don’t. It’s easy to ask questions, get answers, and have a conversation with someone. If someone asks a question about why vegans don’t drink milk, for example, I can quickly answer it, and my response is there for many others, who may be wondering the same thing, to see. It’s also super easy to share posts on Facebook, which means vegan news can go viral pretty quickly, and vegan stories may even end up in the trending section. This enables people who might not normally be looking for vegan information to see posts, which will hopefully pique their interest. I also think that more people are on Facebook than other social media platforms, which makes it easier to reach a broader range people. On sites like Twitter or Instagram, most of my followers are vegans or people who have an interested in veganism. On Facebook, my friends and followers include not only vegans but also omnivore friends, family, former coworkers, people I went to school with, and people I’ve met at various events. When I post about a vegan topic on Facebook, it’s more likely to be seen by someone to whom the information is new, and again, it will hopefully pique his or her interest. [bachelors, masters, masters of fine arts, registered yoga teacher, and certified personal trainer] She created Bite Size Vegan with the desire to make a difference for the animals. 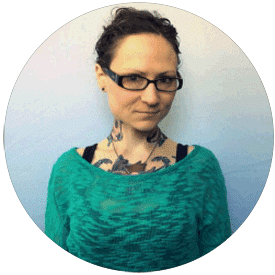 She helps people understand that veganism is not an exclusive club, fad diet, or elitist social movement, but rather a logical, compassionate, rational approach to life- especially in regards to the lives of others. You can connect with her on her favorite social media platform, YouTube. I personally find YouTube to be the best social media tool for my advocacy. I’m hesitant to say one platform is the most effective in general, as different personalities and forms of activism fit with different venues. I base my activism on YouTube because we live in such a visual, video-based culture, with people binge-watching movies and shows online on a regular basis. Our society has a collectively short attention span and requires constant stimulation. YouTube allows me to create educational content that is visually stimulating, entertaining, mimics television format, and has the added bonus of direct interaction. That’s where YouTube trumps television: on this platform, viewers get to interact with creators and have a more personal “relationship” of sorts. Video is more readily consumed these days than books, sadly. While I’m not naturally inclined to use social media and wouldn’t have any accounts if it wasn’t for Bite Size Vegan, I do realize that to be as effective as possible, I have to meet people where they are at. And that’s on social media. Having YouTube, Twitter, Instagram, Facebook and Tumblr accounts is the very least I can do for the animals. 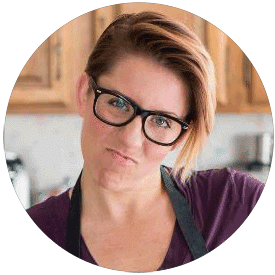 Jackie Sobon runs the super popular food blog, Vegan Yack Attack. Her vegan journey began with her curiosity which led her to begin researching where her food, beauty products, and household items came from. She has a background in product design which is probably why she takes some of the most beautiful vegan food photos I’ve ever seen. 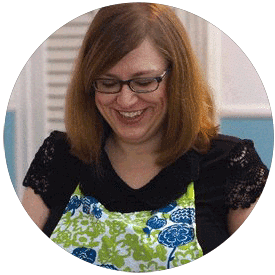 She’s developed thousands of recipes and photos which she shares in the hopes of inspiring others to take to the kitchen to make their own creations. You can find her on her favorite social media platform, Instagram, where she enjoys interacting with her more than 30k audience. Currently, I feel that Instagram is a great platform for the vegan movement, especially because a lot of the running themes and subject matter are very visually oriented. With twitter you can get a broad reach, but retention is poor, where as with Instagram you have posts that are shared through commenters attracting their friends, and things can gain traction easily. Even the vegan community within Instagram is massive, and to me, feels more supportive and integrative than say, Facebook or Twitter. You might remember Anne-Marie Campbell from her very popular Vegan Athlete series right here on Your Daily Vegan last year. She has been a competitive athlete since the age of 9, and currently trains in martial arts, with a Black Belt in Tae Kwon Do. Her mission is to spread awareness and information about the vegan lifestyle while leading by example. She is the Founder of MeatFreeAthlete.com and ShirtActivism.com. Her mottos are, “Eat kind be strong” and “Wear your voice!” You can connect with her on her favorite social media platform, Instagram. That’s a tough one! it comes down to my 3 favorite social platforms; Instagram, Twitter, and YouTube. I’ve had the most feedback, emails, questions, and people tell me they’ve gone vegan from the information I’ve shared on those three social platforms. They have been incredibly effective activism tools for me. If I had to pick the best right now, I’d say Instagram, with YouTube a close second. Instagram is a relatively easy, quick way for me to share my lifestyle & lead by example (as opposed to YouTube which is just as effective, yet takes a lot of production/prep time). I receive a lot of feedback, messages, and questions from people on Instagram. People seem very receptive to my activism on IG. I find the overall vibe on IG to be really positive, and I think that makes people feel more open minded to change and willing to reach out for advice. Regardless of which social platform, I always enjoy connecting with people, and I make it a priority to respond to the questions or comments I get. I want to be accessible and serve the purpose of my online presence, which is to show by example and help people go vegan… or stay vegan! Alex Etling operates the insanely funny and popular Twitter account Vegan Tweeter. 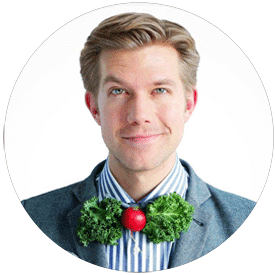 He is an actor, the founder of Cave Theater Co., a food photographer, and a very vocal vegan activist. When I asked him about social media platforms he had quite a bit of interesting things to say. You can connect with him on one of his favorite social media platforms (and where I met him way back in 2009), Twitter. This is a question I’ve given quite a bit of thought to as I’ve decided where to focus my energy, and I think my issue is that there are so many different styles of vegan activism that it’s hard to say that one single social media platform is “best”. They all have their strengths and weaknesses depending on the type of activism. For example, I find Twitter to be ideal for animal rights, vegan health, or environmental messages, and it’s where I spend the majority of my social media activism energy. Twitter is inherently geared toward activism – in countries with oppressed peoples, Twitter has been instrumental for organizing revolutions, as it did during the Arab Spring. Short messages can be incredibly powerful, and the inherent character limitations force you to get right to the point with little added rhetorical flourish. Furthermore, Twitter’s emphasis on sharing can amplify your message exponentially; if one person shares your thought-provoking animal rights message, each of their followers could be exposed to a message that they never would have come across otherwise. It’s a powerful platform. On the other hand, I find Instagram to be a poor place for animal rights messages. Since it’s photo-driven, it can be jarring to come across a disturbing photo of factory farming in the midst of all the beautiful pictures that most people post, which can turn people off to your message. However, by that same token, Instagram is a phenomenal outlet for posting pictures of delicious vegan food, which is, in my opinion, a very valid form of vegan activism. I definitely didn’t take Instagram seriously enough, and I wish I had devoted more time to it earlier on. Facebook is very powerful, but can be a mixed bag – personally, I’ve never devoted much of my time to Facebook, since I find it to be a difficult platform due to its inherent lack of rules. Twitter and Instagram force me to edit myself and get creative, whereas on Facebook, I feel like I can write in long paragraphs, which isn’t always the right choice. Furthermore, vegan activist posts on personal Facebook pages rarely get shared, so you’re limited to your circle of family and friends. However, a personal page can be a great place for vegan activism “lite” – simply showing your family and friends that a vegan is just a regular person who’s chosen to live their life in a compassionate, conscious way. If you have a Facebook Page, however, that can be a great way to get longer-form messages out there, with a higher chance of begin shared. I think that if you’re smart about how you use Facebook, it can be an extremely powerful platform, especially with its insanely broad userbase. To quickly round up the other players: YouTube is obviously great for long-form or particularly visual issues, and the ability to share YouTube videos through the other platforms is powerful. I think Tumblr is similar to Twitter in terms of its activism uses, and Pinterest would be more like Instagram in that it would be a great place to showcase vegan products, food, and recipes, but not animal rights messages. I don’t really see the value of Vine and Snapchat for activism purposes. I’ve experimented with various other social media platforms as well. Sometimes I do vegan Q&A’s on Periscope, which has the distinct advantage of being supremely immediate and personal. I really, really enjoy it. I was actually also part of the first all-vegan social media platform, “ble.at” last year – it was a very promising project, but unfortunately I think it just failed to catch on; also, there’s an inherent issue with “preaching to the choir” if you’re in a social network that consists only of other vegans. Echo chambers don’t spread messages! As for the other smaller networks, like Google+, Pheed, ello, etc., I just don’t find them to have large enough user bases to be worth the time necessary to build a base of followers. Essentially, whatever your particular method of vegan activism, there’s a social media platform out there to suit your needs, and an audience waiting to hear your message! You’re only limited by your passion and creativity. By now I hope that I’ve convinced you to start your own vegan blog. (Have I? Please start your own vegan blog.) The next step is getting people to come to your blog and read all the great stuff that I know you are going to post about. Social media can help you do that. No matter what type of vegan information you want to share: recipes, sanctuary stories, fashion, health, nutrition, or ethics there are plenty of choices when it comes to social media platforms to help you promote your work and gain an audience. Which social media will you choose? Read the complete Blogging as Activism series! This article is part of Your Daily Vegan’s Blogging as Activism series where I teach you how to create, design, and promote a vegan blog. Because the more voices we have joining together, the louder our message will be. Want to learn how to start your own vegan blog? Check out How to Start a Vegan Blog (In Three Easy Steps). Beautiful article thank you! I’m happy about the fact that in the world there are vegan influencers with a lot of followers! It will help animals, our environment and people health. I’m Italian and I have a blog and a page on fb about vegan italian food, I hope to reach a great number of people to demonstrate that vegan kitchen is good for our belly and our planet!! I’m always looking for cooperation with bloggers, youtubers, influencers and people who believe in this lifestyle. that was a wonderful article. I’m headed over to the complete series now. We believe that tempeh going mainstream will save million of animal lives. Yes! You have inspired me to consider starting a vegan blog – THANK YOU! But I think I’ll need to do more planning, as I have tried to start a blog 3 times before on other personal interests and found it would be a lot more work than I thought. This time though, veganism and animal rights are 2 issues Im most passionate about so I feel determined to find my own voice for advocacy thanks to your posts! Emily is an amazing animal activist whom I have so much respect for. Freelee the banana girl and DurianRider have such big egos and create so much drama that the message of veganism is in the shadow of their attention seeking narcissism. Other than Bite Size Vegan, Mic the Vegan is another YouTube channel that is very education and humorous. I really enjoyed this post and hearing everyone’s insights on their preferred social media. Like Jackie, my favorite social media is Instagram. I like the positivity and feeling of community there.